This Gorgeous Home For Sale In Metes And Boundsfeatures Bedrooms, Bathrooms And Is Built In The Beautiful Style. Listed At Only $11,850,000, This Square Foot Residence Can Be Your Perfect Piece Of The Huntsville Real Estate Market. This Gorgeous Home For Sale In Metes And Boundsfeatures Bedrooms, Bathrooms And Is Built In The Beautiful Style. Listed At Only $7,820,000, This Square Foot Residence Can Be Your Perfect Piece Of The Huntsville Real Estate Market. This Gorgeous Home For Sale In Metes And Boundsfeatures Bedrooms, Bathrooms And Is Built In The Beautiful Style. Listed At Only $5,300,000, This Square Foot Residence Can Be Your Perfect Piece Of The Madison Real Estate Market. This Gorgeous Home For Sale In Metes And Boundsfeatures Bedrooms, Bathrooms And Is Built In The Beautiful Style. Listed At Only $4,800,000, This Square Foot Residence Can Be Your Perfect Piece Of The Madison Real Estate Market. This Gorgeous Home For Sale In Metes And Boundsfeatures Bedrooms, Bathrooms And Is Built In The Beautiful Style. Listed At Only $4,200,000, This Square Foot Residence Can Be Your Perfect Piece Of The Madison Real Estate Market. This Gorgeous Home For Sale In Metes And Boundsfeatures Bedrooms, Bathrooms And Is Built In The Beautiful Style. Listed At Only $3,500,000, This Square Foot Residence Can Be Your Perfect Piece Of The Harvest Real Estate Market. This Gorgeous Home For Sale In Metes And Boundsfeatures Bedrooms, Bathrooms And Is Built In The Beautiful Style. Listed At Only $3,480,000, This Square Foot Residence Can Be Your Perfect Piece Of The Huntsville Real Estate Market. This Gorgeous Home For Sale In Pebble Creek At River Landingfeatures Bedrooms, Bathrooms And Is Built In The Beautiful Style. Listed At Only $3,400,000, This Square Foot Residence Can Be Your Perfect Piece Of The Huntsville Real Estate Market. This Gorgeous Home For Sale In Metes And Boundsfeatures Bedrooms, Bathrooms And Is Built In The Beautiful Style. Listed At Only $3,330,000, This Square Foot Residence Can Be Your Perfect Piece Of The Athens Real Estate Market. This Gorgeous Home For Sale In Metes And Boundsfeatures Bedrooms, Bathrooms And Is Built In The Beautiful Style. Listed At Only $3,000,000, This Square Foot Residence Can Be Your Perfect Piece Of The Harvest Real Estate Market. This Gorgeous Home For Sale In Metes And Boundsfeatures Bedrooms, Bathrooms And Is Built In The Beautiful Style. Listed At Only $2,900,000, This Square Foot Residence Can Be Your Perfect Piece Of The Hazel Green Real Estate Market. This Gorgeous Home For Sale In Metes And Boundsfeatures Bedrooms, Bathrooms And Is Built In The Beautiful Style. Listed At Only $2,560,050, This Square Foot Residence Can Be Your Perfect Piece Of The Athens Real Estate Market. This Gorgeous Home For Sale In Metes And Boundsfeatures Bedrooms, Bathrooms And Is Built In The Beautiful Style. Listed At Only $2,500,000, This Square Foot Residence Can Be Your Perfect Piece Of The Athens Real Estate Market. This Gorgeous Home For Sale In Metes And Boundsfeatures Bedrooms, Bathrooms And Is Built In The Beautiful Style. Listed At Only $2,250,000, This Square Foot Residence Can Be Your Perfect Piece Of The Harvest Real Estate Market. This Gorgeous Home For Sale In Metes And Boundsfeatures Bedrooms, Bathrooms And Is Built In The Beautiful Style. Listed At Only $2,000,000, This Square Foot Residence Can Be Your Perfect Piece Of The Athens Real Estate Market. Search all listings for Madison County land for sale below! Vacant lots and land for sale are abundant in Madison County and the surrounding area. Land and acreages are available for a variety of uses, including residential, commercial, and industrial. 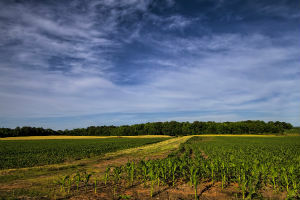 Whether you're looking to build the home of your dreams, start a farm, build a horse property, or construct a commercial development, there is vacant lot real estate in Madison County and Limestone County to suit your needs. Register for access to advanced search tools! Customize your searches, bookmark your favorite listings, and even set up email alerts for when new Madison County land for sale enters the market. Registration is free and only takes a minute! Land for sale in Madison County is extremely varied, from massive properties of hundreds of acres, to small vacant lots in a city center. Properties can be found zoned for a range of uses, included residential, agriculture, commercial, or mixed use. Wooded lots and country properties are perfect for buyers seeking a private and secluded home, or a place for a hobby farm. If you're seeking a spacious acreage with room for horses, your own private pond or creek, or a hunting property, there is a wealth of land for sale to choose from in rural areas. Land for sale can also be found in new subdivisions, master-planned neighborhoods, and gated communities. These properties offer buyers to build their ideal home in a neighborhood that may already have community amenities such as a swimming pool, clubhouse, tennis courts, or even a stocked pond for fishing. Interested in land for sale in Madison County? Connect with the Matt Curtis Real Estate Team team online, or call 256.333.MOVE (6683) today! We'll be happy to show you available properties and acreages for sale.